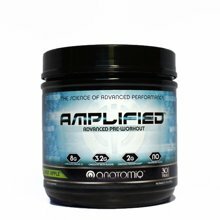 ✮GET MORE PRE-WORKOUT FOR YOUR MONEY: AMPLIFIED is a pre-workout strong enough for elite athletes and bodybuilding pro’s, yet safe and effective for all men and women. Compare to other pre-workouts: We pack 2x-3x the ingredients per serving as most pre-workouts, and also give you 30 TRUE servings in each container! They’re TRUE servings because you’ll never need more than 1 scoop. That’s a full 600 grams of pure, powerful ingredients per container - more than double most other pre-workouts. ✮BEST PRE-WORKOUT FOR INTENSE PUMPS: At the core of our pre-workout is a full 8 grams of the potent “3:1” form of Citrulline Malate, which provides increased nitric oxide production for more intense, longer-lasting pumps and vascularity. Most pre-workouts only offer the “2:1” form AT BEST, if they even have Citrulline Malate at all. AMPLIFIED Pre-Workout also utilizes L-Norvaline to prolong the vasodilatory effects. The result is epic nitric oxide pumps like you’ve never experienced before. ✮ LIMITLESS ENERGY + LASER FOCUS: We use a proven 2:1 stack of Caffeine and Theanine, along with L-Tyrosine and Hordenine, to provide an exhilarating surge of energy and drive that lasts. No jitters, no crash. 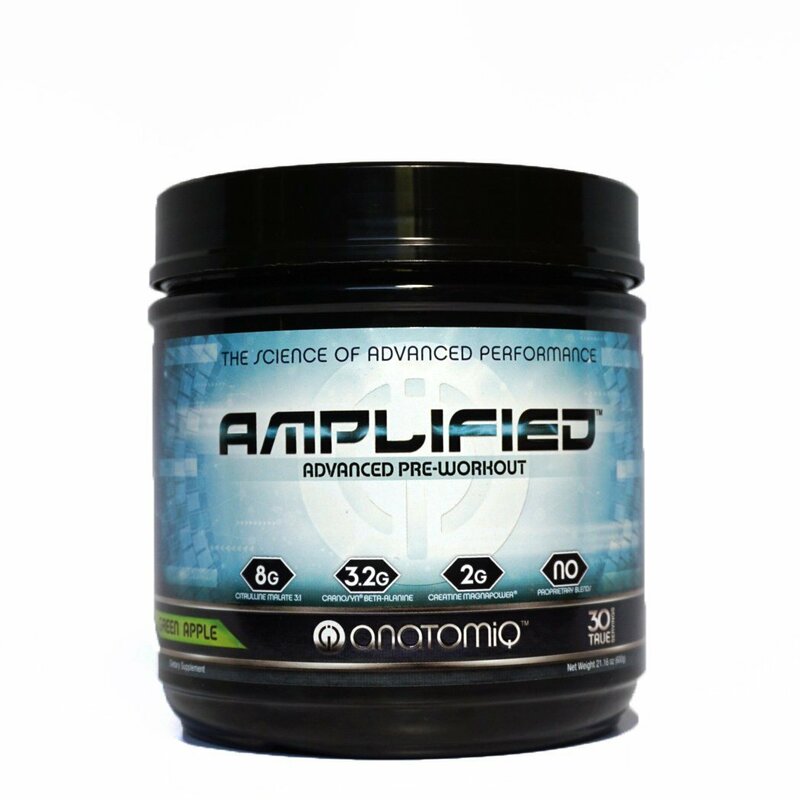 AMPLIFIED Pre-Workout also includes precise doses of the nootropics Alpha-GPC and Choline Bitartrate, to provide an uplifting cognitive boost and heighten the neurotransmitters responsible for muscle contraction. During your workout, this is commonly known as the “mind-muscle connection”. ✮ POWERFUL STRENGTH GAINS: Our pre-workout contains effective doses of Betaine Anhydrous, patented CarnoSyn Beta-Alanine, and patented Creatine MagnaPower. Betaine Anhydrous has been shown to increase muscle growth in response to exercise. Beta-Alanine, known as CarnoSyn, is shown to increase performance during intense physical activity. Creatine MagnaPower is a patented form of creatine shown to have far superior absorption and bioavailability over other forms of creatine. ✮ BEST TASTE ON THE MARKET, SERIOUSLY!!! - SCIENTIFICALLY FORMULATED - CLEAN PRE-WORKOUT SUPPLEMENT- NO BANNED SUBSTANCES - NO FILLERS OR PROPRIETARY BLENDS - MADE IN USA - 100% MONEY BACK GUARANTEE!! !